Elizabethtown police had two reports of the theft of driver side air bags from Chevrolet Cobalts this past week. The thefts occurred on March 5 and 8 during the overnight hours in the 600 block of North Lime Street and 300 block of North Cherry Alley. The air bag modules are valued at $750 each. 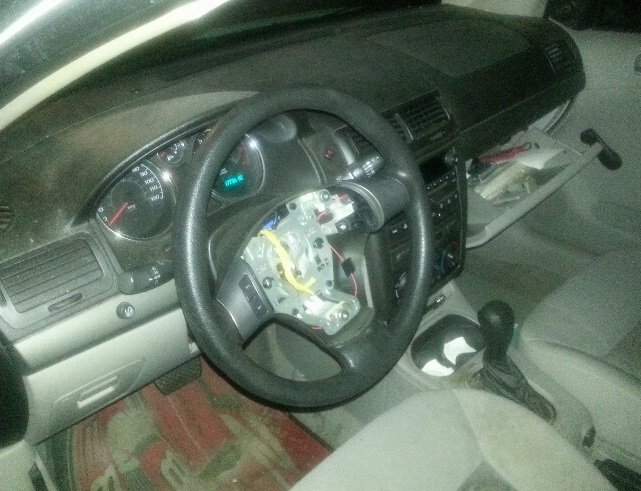 "The air bags are being cut out of the steering wheel of the vehicles. This is unusual for our community," said Elizabethtown Police Chief Jack Mentzer. "Air bag thefts are much more common in urban areas but unfortunately has come to our community." Mentzer reminded citizens to lock their car doors and to be alert to any suspicious activity and if they see or hear something suspicious, call the police immediately. It goes without saying that owners of Chevrolet Cobalts should be extra vigilant, though this type of crime is not limited to this particular make and model. It just depends on the demand in the illegal car parts market where these items are typically sold. police. There is a serial number on the air bag module that can be traced back to your car if the stolen module is located. Anyone having information on these crimes is asked to contact the Elizabethtown Police Department at 367-1835.